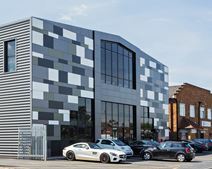 Close enough to major links into London whilst being on the outskirts of the M25, this Waltham Abbey business centre is the ideal location for a small business or regional office. A collaborative working environment with an onsite café, manned reception and a well-equipped meeting room. Waltham Cross Station runs services through to London Liverpool Street, which is great for attending any London meetings. This space is located over four floors of serviced office space in a business centre location just off the M25 motorway. The suites are fully furnished, with a variety of different sized spaces, making it perfect no matter what size business you own. Take advantage of the ongoing IT support available to you, with fast broadband and conference venues available to you. There is also break-out areas, meeting rooms and executive suites, ideal for them team catch ups! The building is accessible 24 hours a day and with 24/7 security, you'll be completely safe during your working hours. The Business Centre is serviced by local bus routes, which can take you to Waltham Abbey train station in just a short time. From there, get excellent access across London, Essex, Hertfordshire and beyond! Close to the M25 motorway, the centre has fantastic links to the A10 and M11, giving you easy access on your daily commute. This property is a listed mansion within Epping Forest housing an impressive range of recently refurbished office accommodation. There is an on-site management team and furniture, heating and a full maintenance service are available. The building is set in landscaped grounds with a large car park, a mile from the M25. Epping and Loughton London Underground Stations are nearby, providing access to the Central Line.